The kids love to play with chalk! It is the simplest way to get creative outside and really affordable! The only issue we were running into was that while we were almost finished with our backyard makeover that meant not spending as much time in the front yard. While discussing this with Shaun he simply said "why not make a black board out back"
YES – that! So that's what we did. 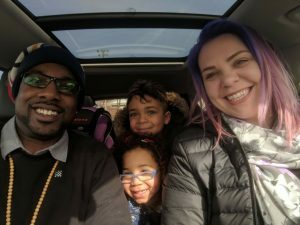 This is probably the easiest DIY project we have ever done – BUT, will be used the most I am sure. 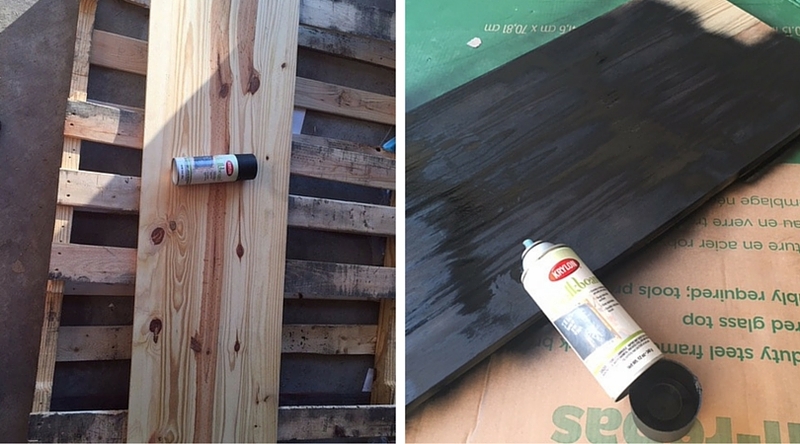 It was super simple and made even easier because of the staff at Lowes. The goal for this new board is once we have fences we will attach it at the perfect height for our little ones. The chalky mess stays outside and can easily be cleaned off with the garden hose. The perfect addition to our family friendly backyard! 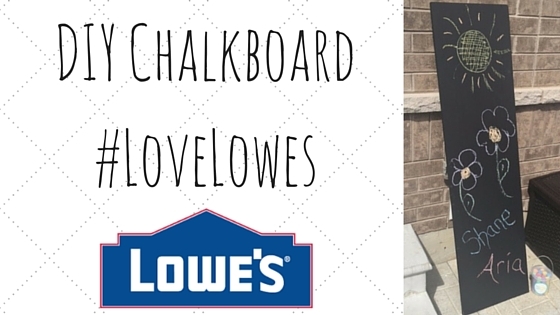 I am a huge Lowe’s Fan girl. It’s my go to store. We have bought our patio stuff there and our appliances. I like their outdoor section a lot. Anyways this is really cute. I could do this and the kids would love it. Great idea. Thanks!! Love this! I’m going to have to see if we’ve got anything around the house for me to make this for the boys! Oh man, my kids would be all over this!! 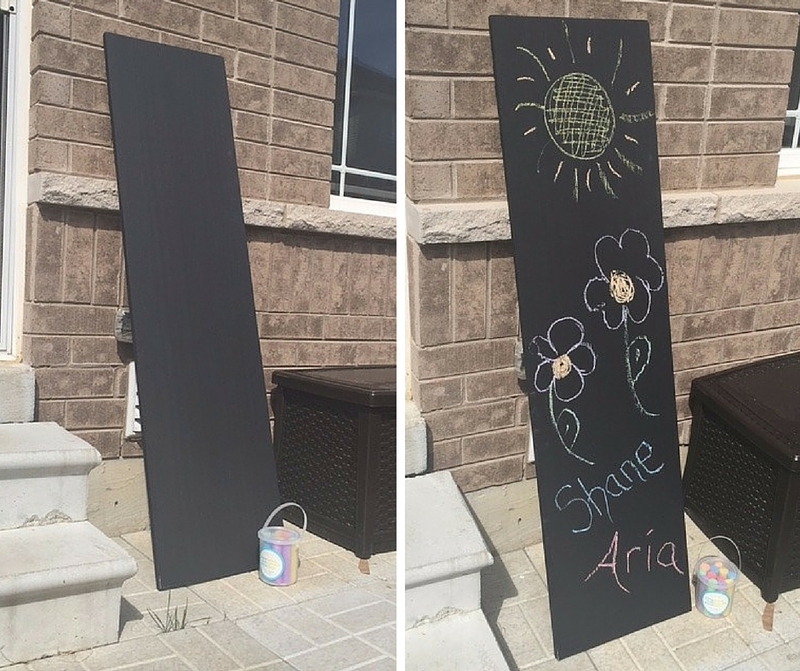 Love that they can use it outside, too… keep all that chalk dust out of the house 😉 So fun for summer! Great tutorial, looks super easy to make, like easy enough that I wouldn’t mess this up! 😉 This would save my walkways for sure!